Summer and spring are the best times for hiking. Going out to the wilderness and nature, watching the wildlife, breathing fresh air, and having quality time with yourself or with friends. Everyone who goes hiking, knows the most obvious risks associated with hiking, like falls, dehydration, hunting accidents, and such. But there is one more risk which most people would probably over look, and that is the extreme exposure to sun radiation. Most of us, who live in urban areas are rarely exposed to direct sun light during weekdays. We are most of the time at the office, or in a car or at home. But when we are out hiking, we are 100% outdoors, and this means being 100% under sun light. The sun has two main UV rays, which are harmful. The short UVB rays which cause the outer skin burns and the long UVA rays which cause deeper skin issues. When hiking and being “sun smart” we know we should wear a hat and be in the shade, this can reduce the amount of UVB, because these rays are easily blocked by any shade. It is also recommended to apply sunscreen lotions, to protect the exposed skin from the UV. UVB effects can be seen quite immediately, you will see the skin getting red, blisters or skin burned. UVA radiation is able to penetrate into deeper skin layers and cause cancerous effects which would not be noticed for long time. The UVA are longer sun rays which have wavelength close to visible light. This means that if there is sunlight around you, there is probably UVA radiation too. If you are going for a once in a life time hike nature tour, than you do not need any additional protection clothes. But for those who hike for several days, or weekend hiking is their way to spend their leisure time, additional UV protection thoughts should be considered. Being exposed to 10-16 hours of UVA for many days can mean the body is pounded by UV radiation which may cause long term side effects. UVA is able to penetrate so wearing a T shirt, may protect your body from UVB, but will not protect your body from UVA. UVA is close to visible sun light, and can penetrate clouds, so while walking on a beautiful nature trail, when the sky is cloudy, most of the hikers will not apply any SPF creams because there is no sun to be protected from. They will be absorbing large amounts of UVA during their hiking trip. Today there are clothes which where designed to block UVA and UVB radiation. 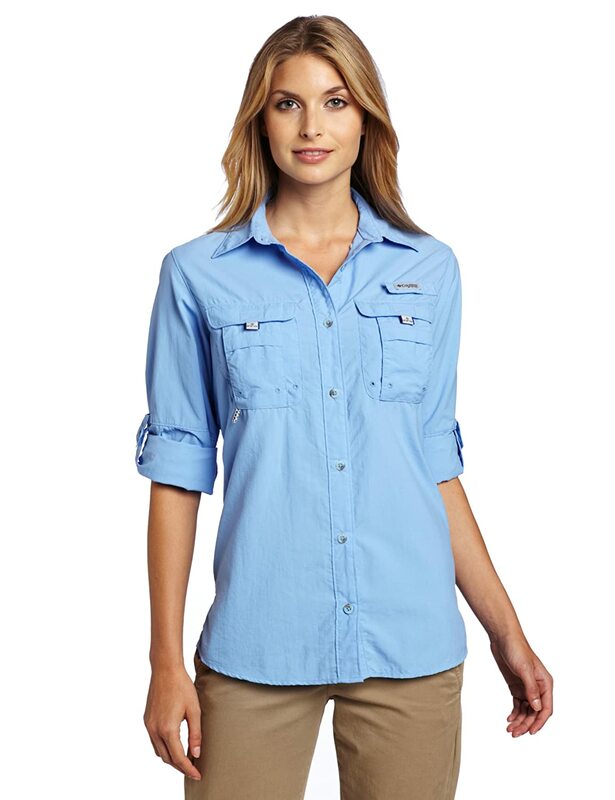 These clothes have a UPF rating, which shows their level of UV protection. The maximum level is UPF 50, which means over 98% of the UVA is blocked. Any clothes with UPF 30-50 will be sufficient for hikers. Hiking clothes should be also light weight, comfortable and made from breathable mesh, to wick the sweat away during the trail hikes. There are numerous brands and designs both for men and women to make the sport of hiking pleasurable and sun safe. 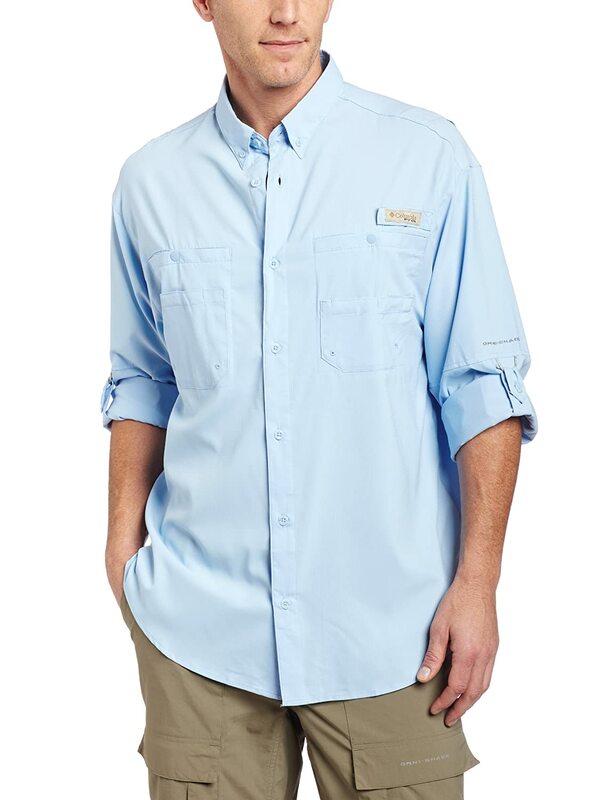 Click here to get UV protection shirt from Amazon. Hikers need pants too because their whole body is exposed to the sun, and UV radiation on the lower body skin is just as harmful as radiation on upper body. Here are one of the most popular hiking pants on Amazon, with UPF 50 protection level. Here is an example for women hiking designs. They are also sun safe and block UV, there are more designs and brands at Amazon, check which one is favorable for you. Just look for the UPF 30-50 protection rating. Have a safe hike, drink a lot of water and don’t forget to take a camera to capture gods creative art we call NATURE. This entry was posted in UPF Clothing, UV Protective Accessories, UV Skin Damage and tagged hiking clothes, sport UV clothes, Sun Protective Hunting Gear, UV Hiking Clothes by UPF Clothing Admin. Bookmark the permalink.